We’ll admit, when athleisure first stepped onto the fashion scene circa 2014, we were skeptical—skeptical but curious. We watched from the sidelines as it became not only socially-acceptable but also on-trend to wear activewear… well, everywhere. We were intrigued by the thought of not having to switch into heels once we hit the office, or conversely not having to transform our office outfit from a day-to-night look. The glorified-loungewear incline has taken “casual Friday” to a whole new level, raising the bar from jeans in the office on the last day of the work week to leggings every day of the week. What we once dubbed the stay-at-home mom uniform has quickly become the preferred dress code. 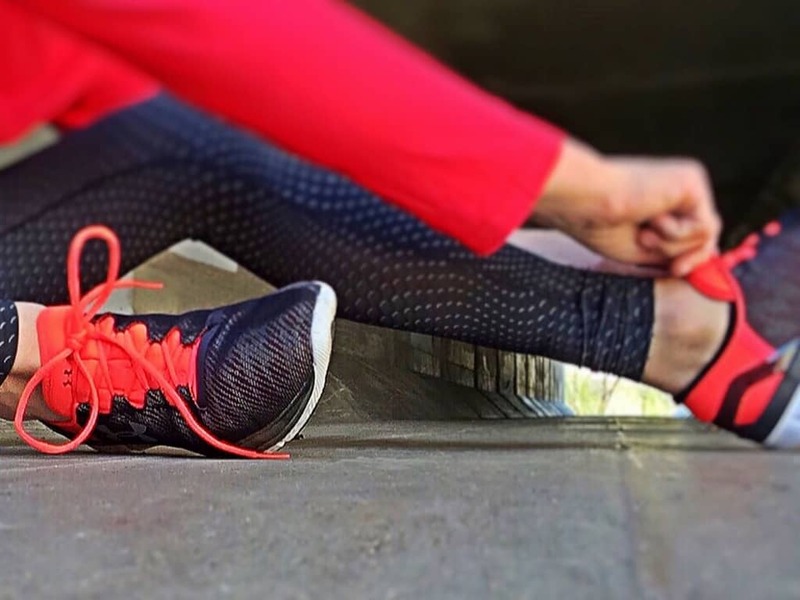 And we have to admit, even on days we don’t actually make it to the gym, we somehow feel more productive in our kicks and supportive workout apparel. Plus, let’s be real, there’s nothing worse than feeling overdressed at a social gathering. Unlike most fashion trends, athleisure is still in high demand—and not going anywhere any time soon. Industry insiders agree it’s not a trend but a movement. As activewear sales continue to increase, however, traditional brick-and-mortar retail sales are plummeting. According to Business Insider (via Fortune), “In 2015, while the whole of retail sales were flat for the year, sales of athletic wear were up 12%.” But is there a correlation? is the rise of casual attire the reason for the “retail apocalypse,” a now-Wikipedia term referring to the closure and/or bankruptcy filing of a mounting list of traditional brick-and-mortar retailers in North America? We investigated and found that power has shifted from fashion-industry leaders to the consumers, who demand low costs, convenience and control. Once upon a time, global fashion weeks were reserved for key industry players, such as department store buyers and magazine editors, that decided which garments would make it from runway to shopping racks. Fast fashion giants, including H&M, Forever 21 and Zara, made coveted trends accessible via disposable knock-offs without the designer price tag. Since then, technology and social media has enabled consumers to reclaim their spending power with unlimited e-commerce competitors offering similar styles for even less—not to mention exclusive online discounts and coupons (which we’re always here to help with!). As a result, brick-and-mortar retailers are seriously struggling. While stores such as Macy’s, Abercrombie & Fitch and Michael Kors are shuttering doors, others like BCBG, American Apparel and Aerosoles, are filing for bankruptcy. Even H&M ended last quarter with $4.3 billion in unsold clothing, according to The New York Times. Meanwhile, CNBC reports that beloved athletic brand Lululemon exceeded projected earnings this quarter. Convenience is delivered in the form of a simplified, streamlined wardrobe. Bloomberg observes that one reason for the apparel industry’s decline is that the majority of consumers no longer need to spend money on separate work clothes, now that casual attire is appropriate across the dress-code board. Customers also find convenience in the instant gratification of next-day delivery offered by ecommerce alternatives. Amazon specifically is crushing the affordable apparel demand, and many analysts predict the online marketplace will soon be the industry’s leader—especially now that the site is preparing to launch Prime Wardrobe, a subscription service that allows Prime subscribers to try on clothes without purchasing. Fashion has always been an expression of the times. In today’s world, consumers are calling the shots, and their clothing reflects their active and wellness-focused lifestyles. Men and women in the workforce value a work-life balance and are able to select employers that align with their values. Many opt to work from home in their sweatpants—although now they can enjoy that luxury in most office environments. Just as employees are no longer tied to one company for the majority of their careers, they are also no longer slaves to the professional attire that used to come along with them.